Update on the Restoration of Puerto Rico’s Electric Infrastructure | U.S. House of Representatives, Energy and Commerce Committee: February 28, 2018 Hearing, 10:15 AM EST, LIVE video at the link above.UPDATE Feb 27, 2018: "The Subcommittee on Oversight and Investigations hearing scheduled for Wednesday, February 28, 2018, at 10:15 a.m. in 2322 Rayburn House Office Building has been postponed to a date and time to be announced. The hearing is entitled “Update on the Restoration of Puerto Rico’s Electric Infrastructure.”"
Puerto Rico’s Power Authority Effectively Files for Bankruptcy | nytimes.com July 2, 2017 (almost three months before Hurricane Maria hit Puerto Rico on September 20, 2017). It's difficult to describe lawyers' situation in Puerto Rico, but hurricanes' damage was 'extreme' | .abajournal.com: "... the extent of the damage the hurricanes caused to the island’s infrastructure was extreme. The most significant damage was to the electric power grid, which collapsed almost completely." Puerto Rico Needs More Than Bandages | The New York Times | nytimes.com Feb. 13, 2018. 'Exodus' from Puerto Rico: A visual guide | CNN.com Feb 21, 2018: "Hurricane Maria sent thousands fleeing devastation in Puerto Rico. Federal data obtained by CNN suggest migrants have moved to every US state -- even Alaska." Citigroup Drove Puerto Rico Into Debt. Now It Will Profit From Privatization on the Island | theintercept.com February 21 2018. Puerto Rico | The New York Times | nytimes.com: News about Puerto Rico, including commentary and archival articles published in The New York Times. 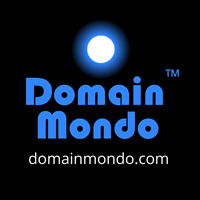 See also on Domain Mondo: News Review | ICANN61 & Puerto Crypto, San Juan, Puerto Rico (ICANN61 starts March 10, 2018, and Puerto Crypto starts March 14 in San Juan). See also Committee on YouTube.com.